More than two-thirds of the nation's Gross Domestic Product derives from everyday stuff like dining out, buying a new shirt or visiting the dentist. About 14 percent stems from private investment, for instance companies purchasing new machinery or building new factories. And the rest comes from government spending on things like bridge building, schools, and defense. "A lot of analysts would argue we need to increase the amount of investment spending." "Government spending is not, unless done wisely, the answer." "We have to "up" government and defense. I think lake Superior is grossly underdefended. We need submarines." We'll get back around to those ideas, but first, How did consumer spending come to account for so much of our economy? And does it need to be that way? Turns out in recent years, consumer spending has averaged about 65 to 70 percent of GDP. It's now at its highest point in decades at nearly 71 percent and, perhaps not surprisingly, credit card debt has climbed along with it. According to Synovate Mail Monitor, a group that researches credit card use, the average household's credit card balance has risen 73 percent in the past ten years to $7,492. Regional economist Ed Lotterman says easy credit and home equity loans have been behind a lot of the recent growth in personal consumption. But, he says the housing crisis and credit crunch will change that pattern. "It's ending now," Lotterman says. "It's going to cut consumption. I think people cut consumption voluntarily when they decide to save more, and they don't decide to save more unless there's some trauma." That trauma may be upon us. 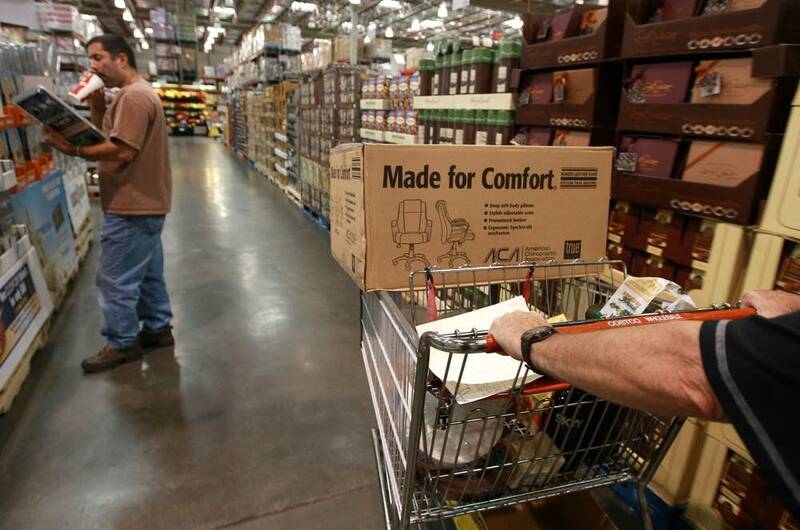 Economists expect consumer spending to show a hefty 2.4 percent drop. And if consumers did spend less, and saved more, that could eventually boost GDP in other ways. That's according to Louis Johnston, an economics professor at the College of St. Benedict and St. John's University. Johnston says if consumers started saving instead of spending, GDP could suffer a decline in the short run. "But in the long run, it would be useful because that saving would be put to uses like building plants, buying equipment, doing the things we need to increase our productive capacity in the future," Johnston says. And that's because the money you or I stash away in a bank account or mutual fund, can be used to finance a local business's operations. But Johnston does not argue that consumer spending must go down. He says it's possible to get more out of private investment and government spending just by focusing on projects that will give more bang for the buck and increase the nation's productivity. Still, he points out that other countries with similarly high standards of living manage to rely much less on personal spending. "We have a higher proportion of GDP going to consumption than any other industrialized country," Johnston says. "If you look at European countries, their consumption spending is on the order of 50 to 60 percent." Johnston says the governments of those countries take care of the costs of some things that are traditionally expenses borne by the American consumer. In the U.S., government spending, which represents a substantial portion of the economy, can spur economic growth through new public works projects. But Art Rolnick, director of research at the Federal Reserve Bank of Minneapolis, says that's not always a good or a quick fix. "I don't think there's much government can do anyway in the short term," Rolnick says. "Market economies have business cycles, which means GDP is going to go up sometimes, sometimes it's going to fall, economies are going to self correct." That logic undercuts the plan of Twin Cities comedian Jill Bernard to boost GDP through government spending on submarines, which, she says, would defend minnesota's lakes and rivers or even provide entertainment. "We could give people rides along the Mississippi, take patrons to the Guthrie, any riverfront properties," Bernard says. And as a sign, perhaps, of the slow economy, Bernard says she's got plenty of free time to staff the rides.